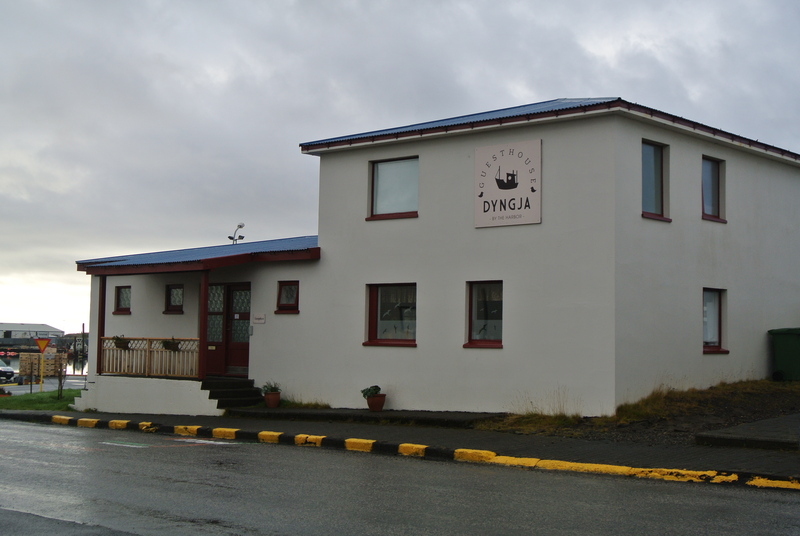 I know I typically write about my food experiences but thought I would add a post about this cute guesthouse we stayed in overnight in a little town in the South East part of Iceland (Hofn) called Dyngja Guesthouse. I must say, because Iceland is so small and we were 3 people travelling, it was a bit tough looking for places to stay that were on budget. I found this guesthouse in my Lonely Planet travel guide. 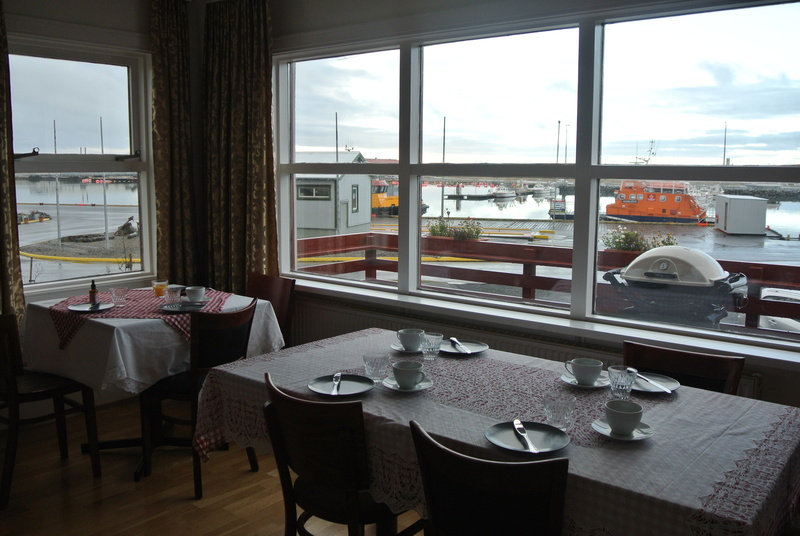 It was right on the harbour with such a beautiful view in the morning from the breakfast room! 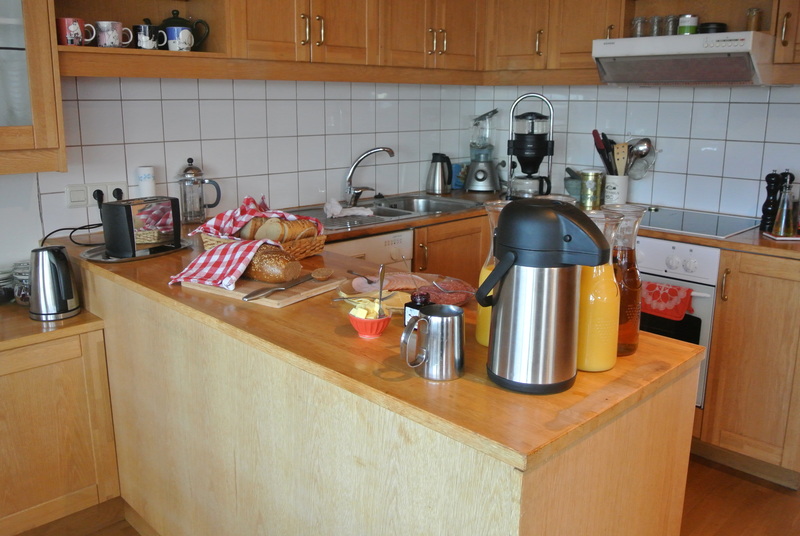 The owner was great and although we didn’t have a private bath – it literally is a house which you book different size rooms – it was a welcoming stop after a long 6 hour drive in the rain down the eastern portion of Highway 1. The view of the harbour from the breakfast room. 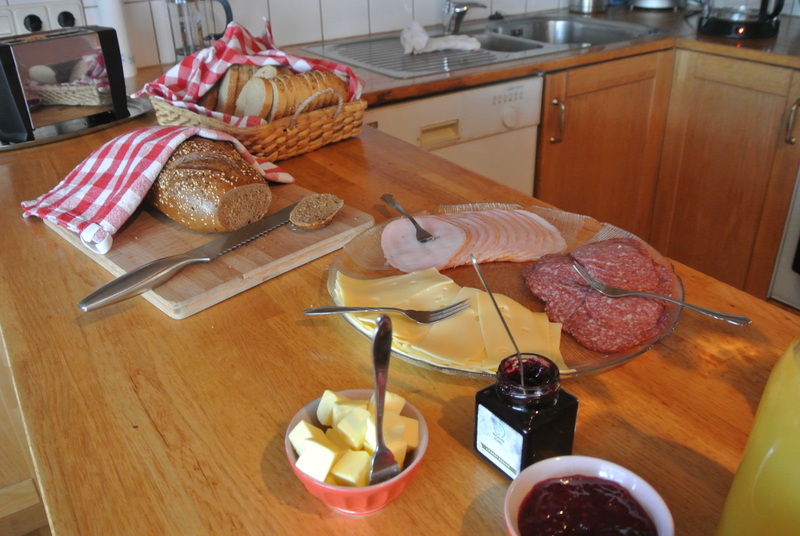 Breakfast served in the kitchen. 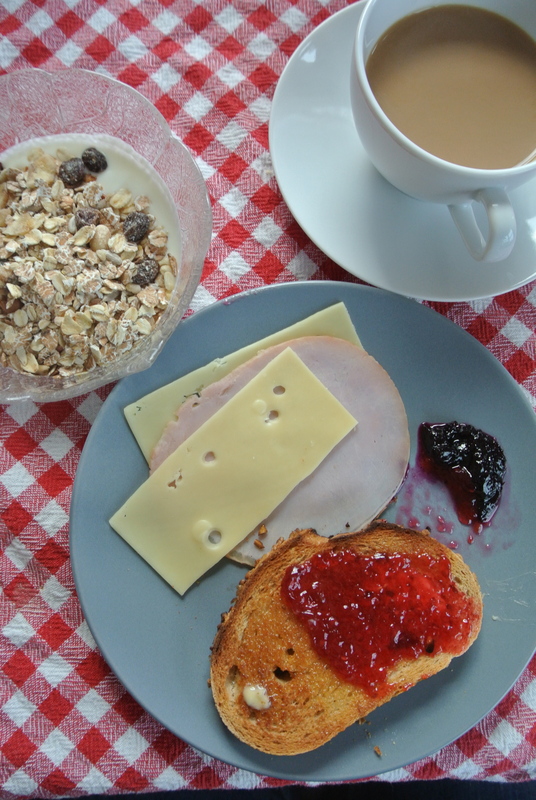 Assorted cold cuts, cheeses, whole grain bread and jams! 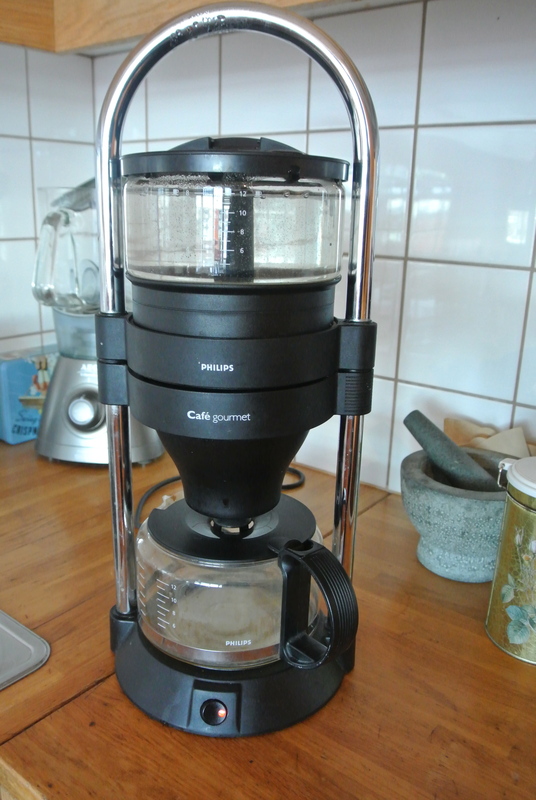 Never seen a coffeemaker like this before. Love european design! 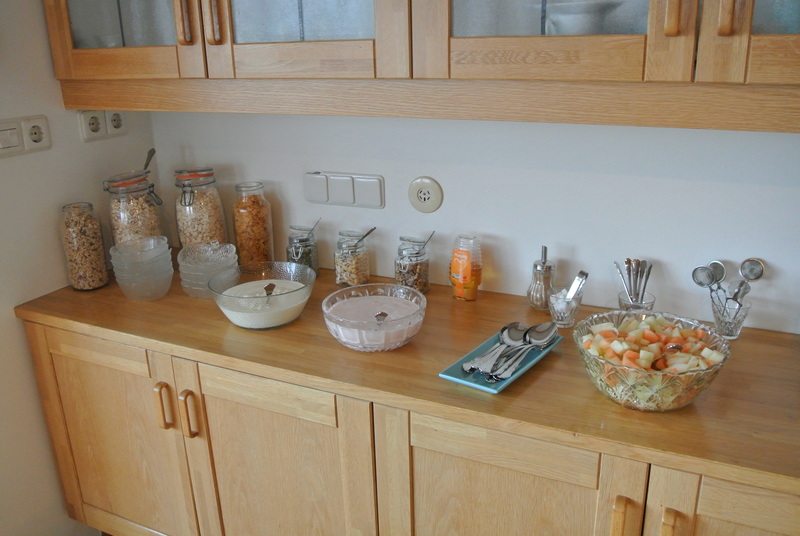 Yogurt, cereals and cut fruit. A Japanese Canadian that loves food and travel, read more about why I've decided to share my experiences.